When it comes to bees you won’t find a harder working insect on the face of the earth. Some bee hives will hold as many as 50,000 bees if given enough space to nest. Zoo workers recently removed a massive 10-year-old hive from a garage in Ohio. A series of hexagon shaped cells keep eggs, larvae, pollen and honey in perfect order. A constant 94° needs to be maintained in the hive at all times for a healthy beehive. To do this worker bees either fan their wings to lower temperatures (summertime) or vibrate their flight muscles to increase heat in the hive (wintertime). Bees will fly as far as seven miles to gain nectar and pollen which in turn produces honey and food for young bees. Some bees serve as scouts for new hive locations and yet others work hard to pollinate the fruits and vegetables we eat as well as produce honey and honeycomb we enjoy so much. 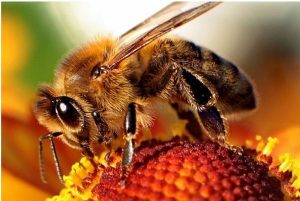 However, Arizona’s hot climate can present a dangerous predicament for the homeowner – “Killer Bees”. Not every beehive in Arizona is “Africanized” but given enough time chances are very good the homeowner will end up with aggressive bees. The rule is: “Don’t attempt to exterminate the hive yourself!” Whether you have a bee swarm on your property, bees at the pool, or do indeed need a bee exterminator, trust ASAP Bee Removal for expert advice.